Bambukaat Motorcycle Customs aka BMC is based in Ropar, Punjab. They customize bike with pride and unique techniques of crafting custom individuals from a donor machine. Through their customization one can find simplicity, heritage, love, and of course, individuality. They have designed various bikes and we have listed them below. 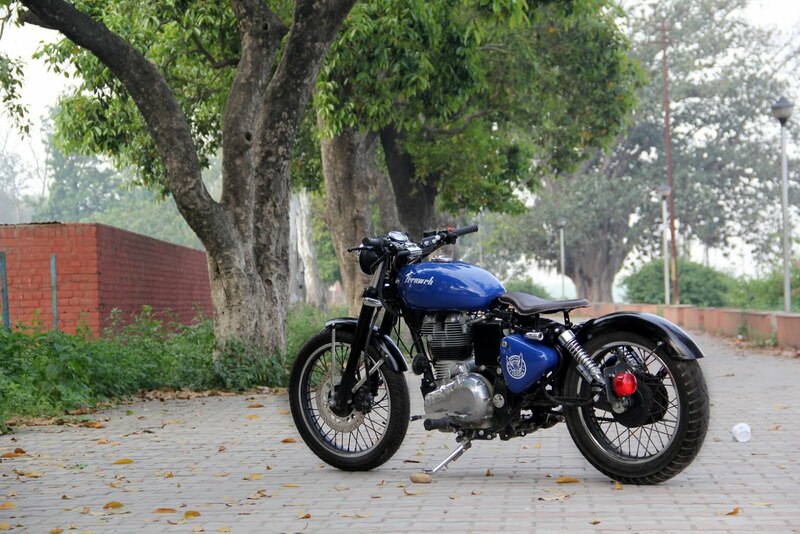 This blue beauty from Bambukaat Custom Motorcycles A Royal Enfield is nicely bobbed this time ~ Fernweh ! The sitting height has been brought down and the wheel base is extended. This beautiful bike is good looking, people wanted to buy this because it's so beautiful. 1.Bar end mirrors with no electricals on the handle except the horn dipper switch . 2.The battery have been placed in a custom made electrical box. 3.The engine was cleaned and has been fitted with a megaphone exhaust. Other fabrication work includes a custom made fuel tank . 4.They has external air filter and break wrap on the break bend for better performance of the bike.